Jonathan Holtz is a personal injury trial attorney with Bramnick, Rodriguez, Grabas, Arnold & Mangan, LLC who focuses on accident victims. He represents those injured in automobile accidents, premises liability accidents (slip and falls), construction accidents, and medical and legal malpractice cases. 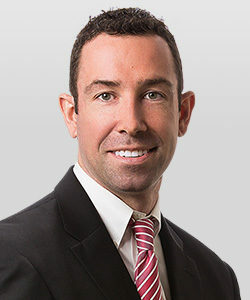 Mr. Holtz, who is licensed to practice law in New Jersey and New York, has a unique background that includes beginning his career as a defense attorney focusing on premises liability and professional malpractice. Mr. Holtz was appointed by the New Jersey Supreme Court to serve on the District XII Ethics Committee. He is a contributing author for the New Jersey Law Journal and a lecturer for the New Jersey Institute of Continuing Legal Education (NJICLE), the New Jersey Association for Justice (NJAJ), and various other professional organizations. He formerly served on the Insurance Defense Special Committee and the Business & Commercial Litigation Special Committee of the New Jersey State Bar Association. He works with the Moot Court and Appellate Advocacy programs of Seton Hall University School of Law. 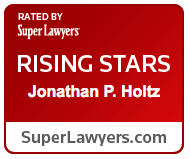 Mr. Holtz has been selected to the Super Lawyers Rising Stars list; has been selected to the AVVO “Superb” (highest) list; and is AV Martindale-Hubbell Peer Review Rated. Mr. Holtz is a member of the Union County Bar Association and the Greater Westfield Area Chamber of Commerce. Mr. Holtz has been certified as an Emergency Medical Technician and was a former volunteer first responder with the Tuckahoe Volunteer First Aid Squad. Mr. Holtz served as law clerk to the Honorable Alfonse J. Cifelli, J.S.C., New Jersey Superior Court, Essex County, Law Division, where he was certified in mediation and conciliation. DISCLAIMER: No aspect of this advertisement has been approved by the Supreme Court of New Jersey. The Super Lawyers list is issued by Thomson Reuters; a description of the selection methodology can be found here. The AVVO list is issued by AVVO; a description of the selection methodology can be found here. The AV Martindale-Hubbell list is issued by Martindale-Hubbell; a description of the selection methodology can be found here.